Do you possess musical talent?! Church Choir: Trinity’s Church Choir sings once a month to bless both Sunday morning services. Practices are scheduled for Wednesday evenings. For more information, contact our Choir Director, Rodger Banes who is also affiliated with Voices of the Sierra, a community choir he started in 2013 because leading choirs is his passion. Praise Team: Trinity’s Praise Team blesses our Contemporary Service on Saturday evenings. 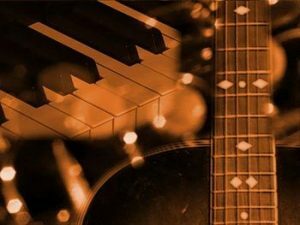 The team leads worship music and song with various instruments such as the baby grand, or an electronic keyboard, guitars, and percussion instruments. If you would like to get more information, or to join the Praise Team, contact Mark Dorio the team leader. If interested in helping with our sound system, contact our lead sound technician, Rachel Walker. 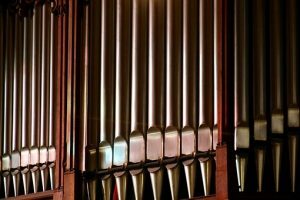 Specialists: Trinity’s congregation loves our grand pipe organ that sits upstairs in the choir loft and we love our baby grand piano that sits in the front of the sanctuary. 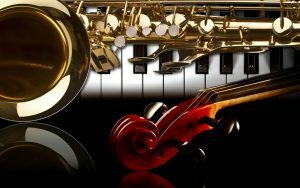 We are blessed with several talented members who play both. Our musical talent at Trinity is further blessed by members who play the trumpet, cello, violin and, harp.